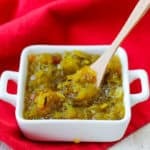 Packed full of flavor, this homemade zucchini relish is a great way to use up all the fresh zucchini hanging around the kitchen! 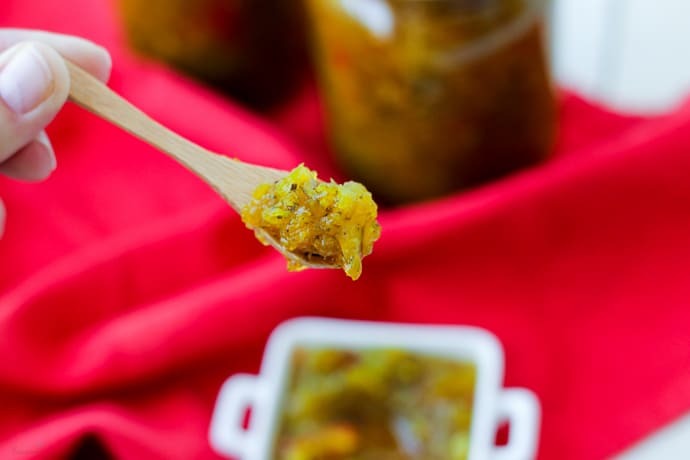 Growing up, I could always find two things in the refrigerator: jars of homemade strawberry jam and this Homemade Zucchini Relish. I think my mom canned other foods as well, but over the years these two have been a constant. 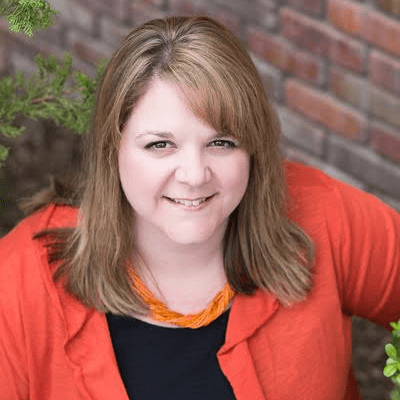 If I open the pantry in her house, I can still find jars of jam and relish! 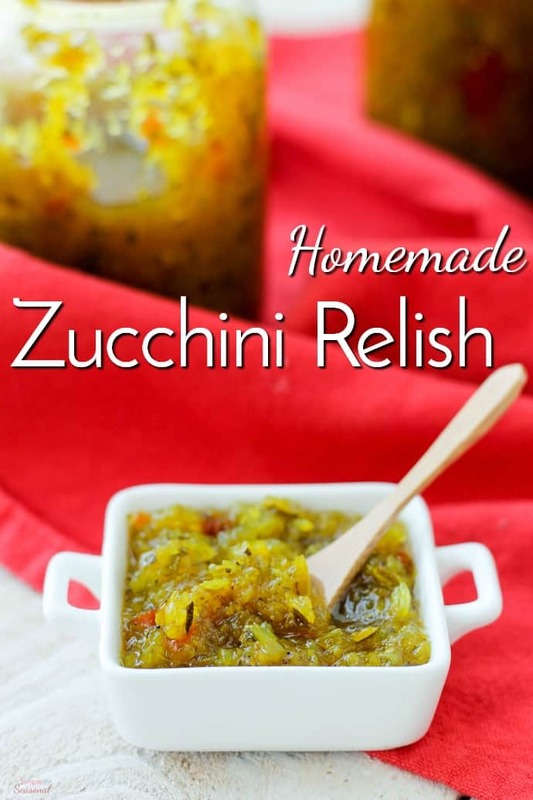 Since it’s the end of summer and zucchini is in abundance, it’s the perfect time to share this recipe! It’s delicious on hot dogs, in the mixture for deviled eggs, tuna salad and other recipes. It’s got great flavor and smells so good when it’s cooking! 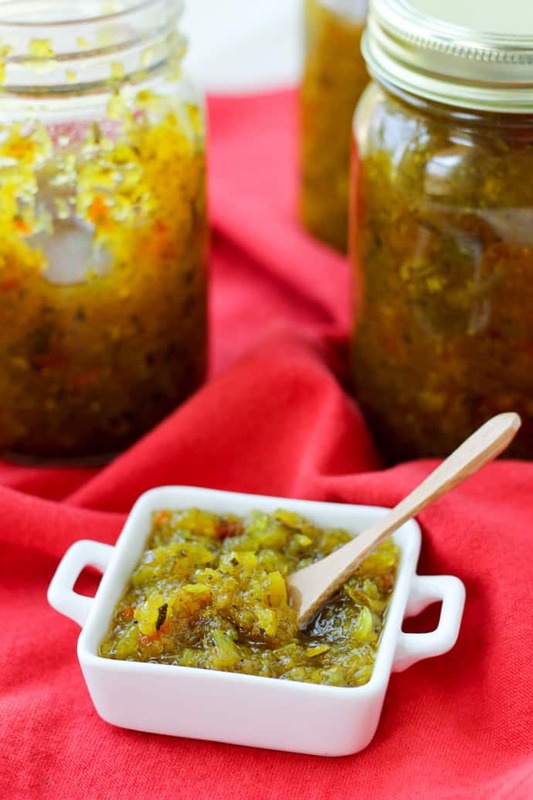 This recipe for Homemade Zucchini relish makes 6 1/2 pints, but if you don’t want to make that much and can it for later, you can cut the recipe down and just store it in the fridge. It lasts for a long time as long as it’s refrigerated. In a large bowl, combine the first three ingredients. Stir, cover and refrigerate overnight. After soaking, drain and rinse in cold water. Add the remaining ingredients and cook in a large pot on the stove for 30 minutes. 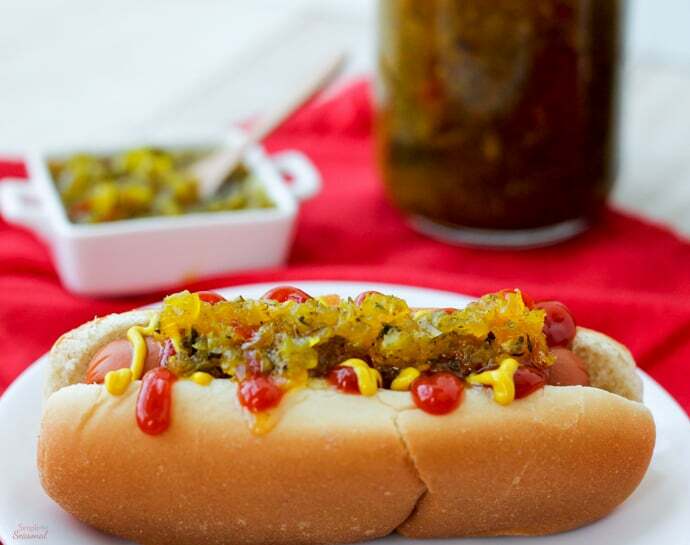 Pack the relish into warm jars while it's hot and seal. Keep any unsealed jars in the refrigerator. For a quick walk-through on how my mom does the canning process, you can see my post about her Homemade Strawberry Jam! 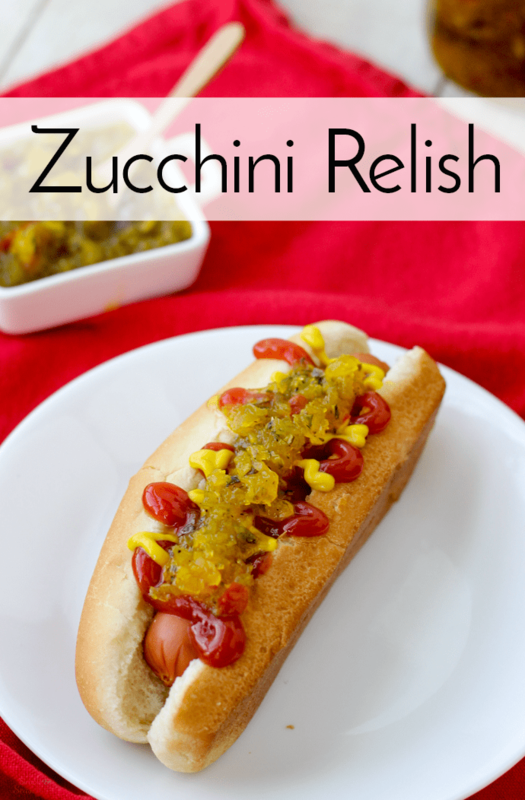 Don’t forget to pin this Homemade Zucchini Relish recipe so you have it handy next season, too!